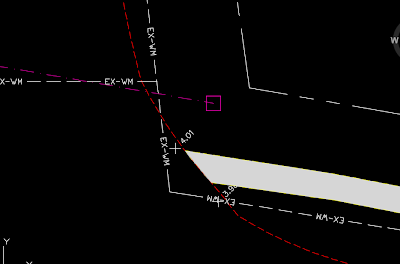 Many AutoCAD users have custom linetypes with embedded text. We use these lietypes to help visually identify what the line represents. Here is an example of an existing water main with a linetype having the text “EX-WM” in it. Figure 1: An example of a custom linetype going the wrong way. You can easily tell which lines represent the existing water main. In this example we have a situation where two lines meet but the linetype text is oriented differently. It is upside down. We want the text to “flow” just like we want the water in these pipes to “flow”. The issue lies in the direction of the line. These two lines are LINE objects. They are not joined polylines. In an iconic scene from the Star Wars movies, hero Luke Skywalker out-races the evil Empire’s agents by riding flying speeder bikes through a dense forest. Needless to say, the bad guys get up close and personal with some bark and our heroes live to fight on. Autodesk has released another free iPad design app. This time it is their Homestyler home design software. Homestyler has been around since 2010 as a browser based program. This program provides a 2D or 3D design tool that helps in interior design and floor layout. Contractors can use it for remodels, architects can use it to quickly generate a floor plan, and interior decorators can choose from a multitude of commercially available appliances, furniture, doors, windows, and other finishing touches in a range of colors and designs. Novedge was kind enough to invite me to host a Webinar for them. I did and as far as I can tell it went well. There was a great response and the attendees asked fantastic questions. I was the one presenting the information but I was able to learn a few things from their questions. That’s why I love doing things like this.